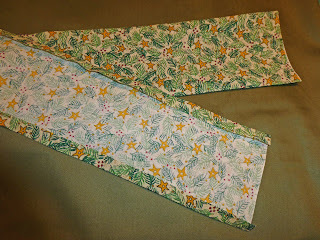 How about ribbon and some contrasting fabric for the pocket? 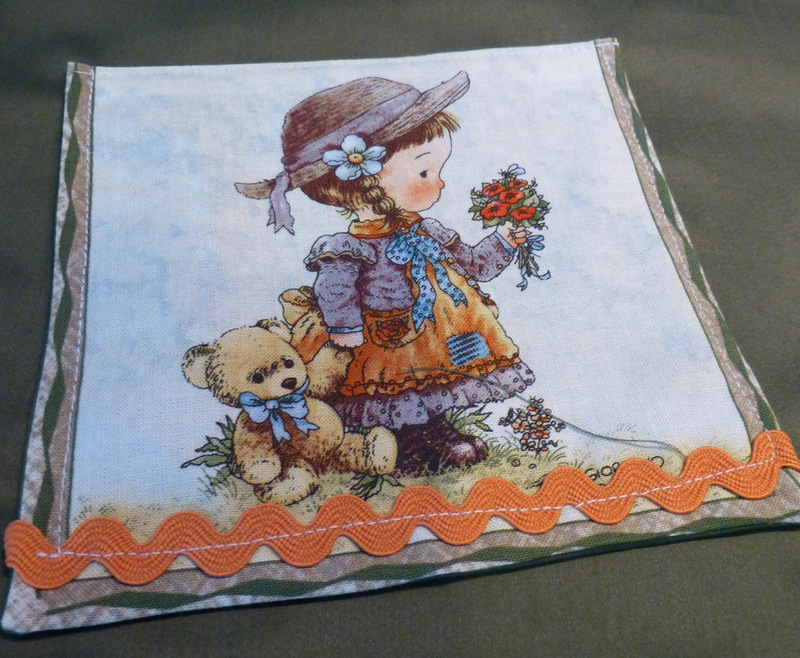 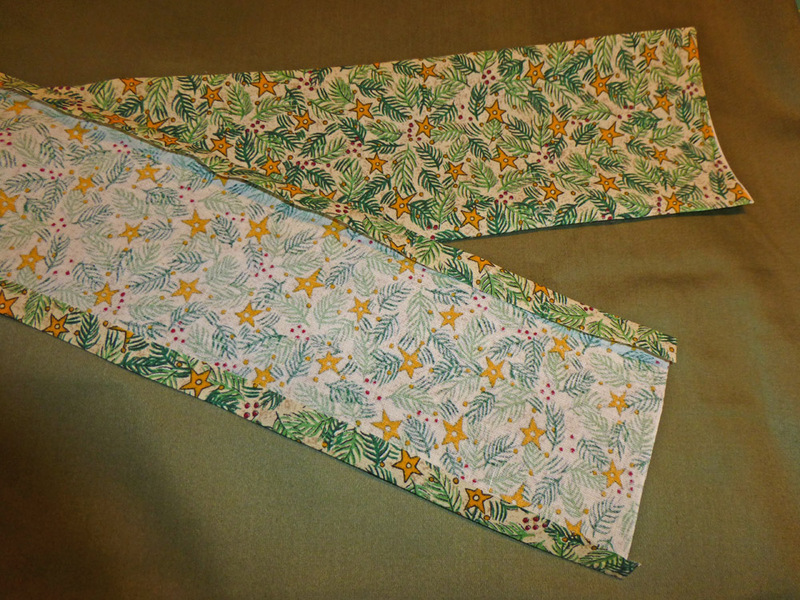 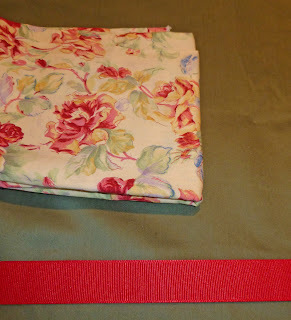 Or maybe choose a contrasting fabric and make a band to put near the bottom and also make a pocket out of it. When making the band be sure and turn the edges under 1/4" and press. 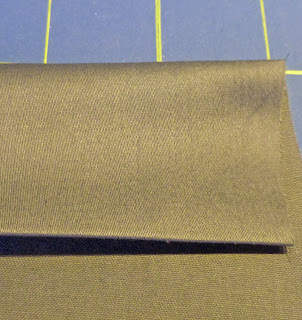 Please do not make pockets or bands without finishing the edge. 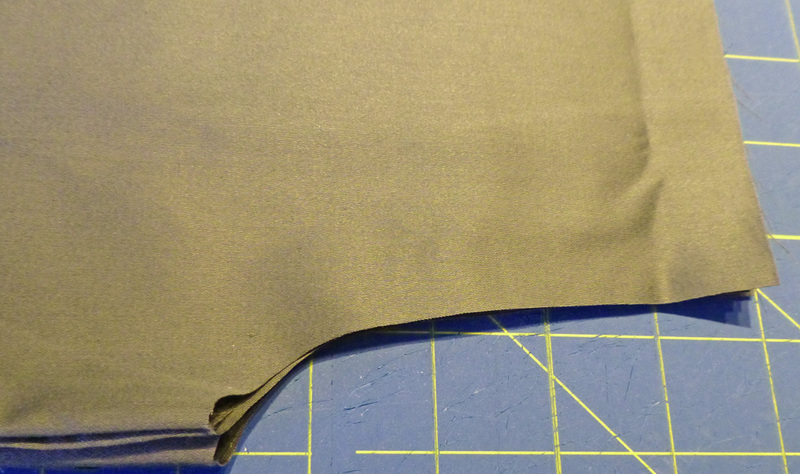 They will just fray especially when washed in a river! 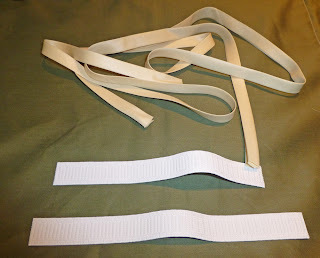 Before you cut the length decide if you are going to make a regular casing or the Ruffled Casing. 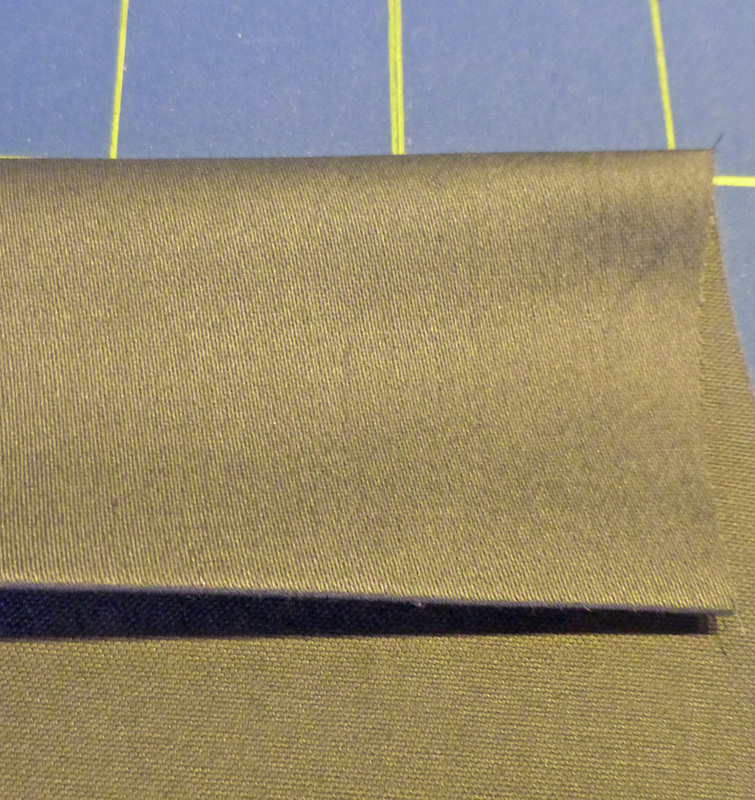 Usually you would now press the casing a little more than 1" but because I am making a Ruffled Casing. 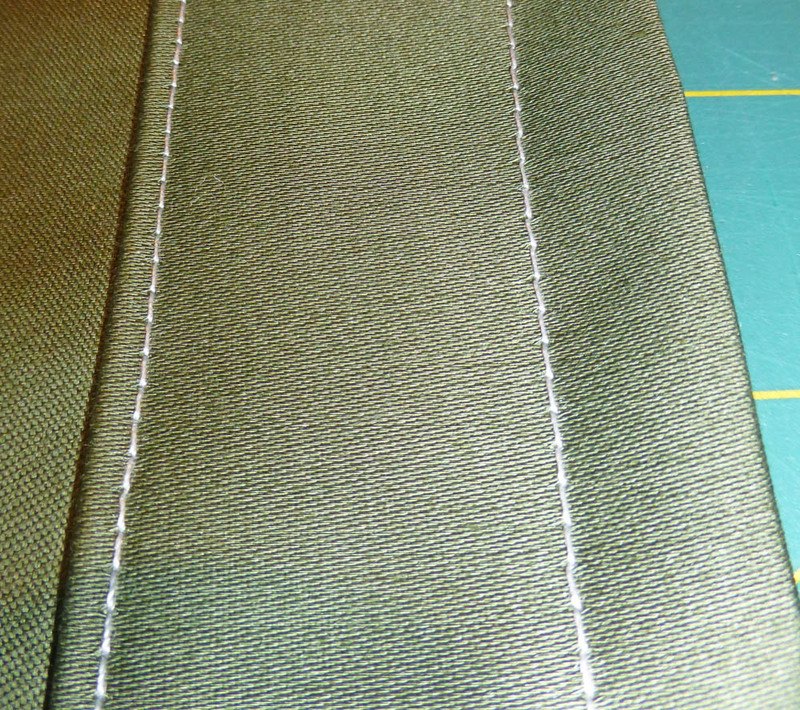 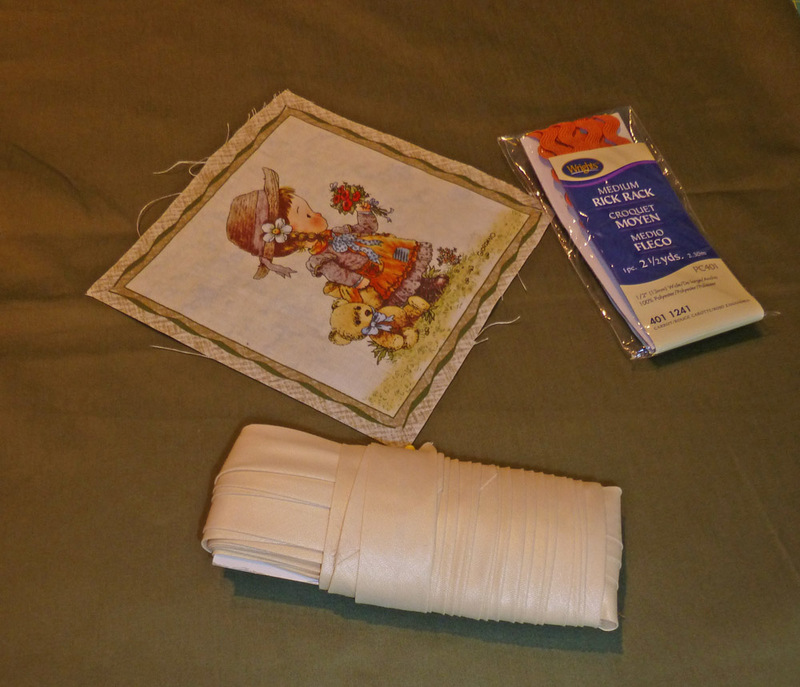 I am going to press the casing about 1 1/2"
Stitch the casing at the bottom edge. 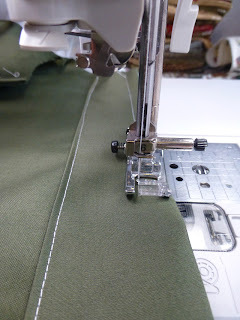 I use my sewing foot to help me determine where to stitch. 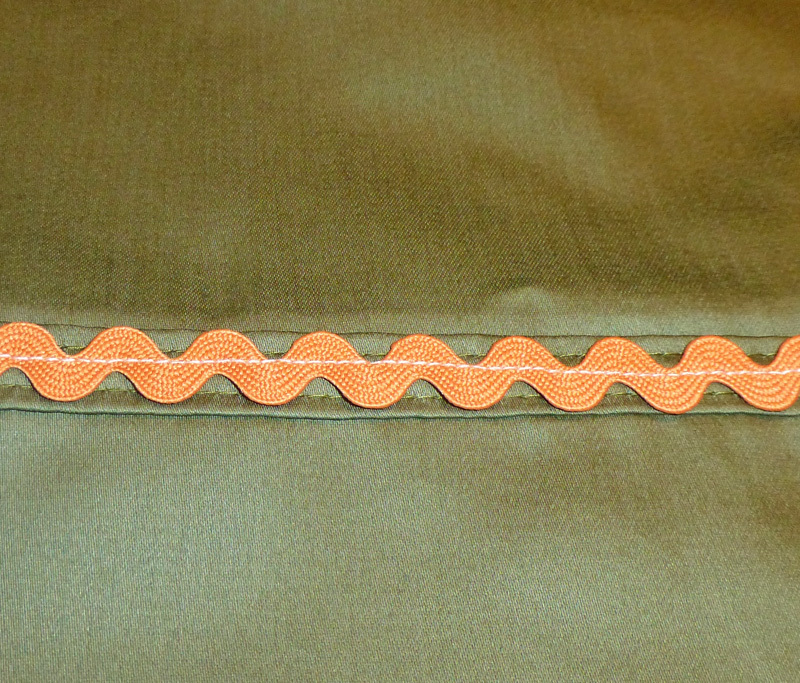 I put my needle in the left position and run the right edge of the sewing foot along the edge of the fabric. This gives me a row of stitching just about 1/2" from the top of the dress. 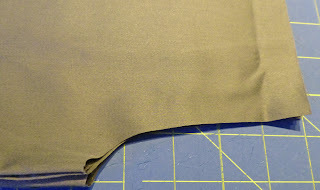 Now please do this final step for all solid colored pillowcases. 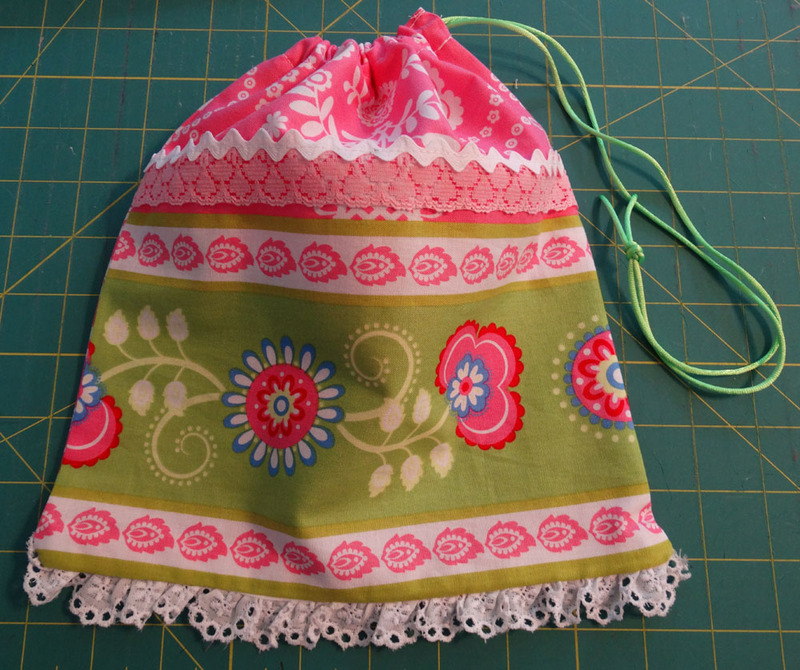 Add a pocket. 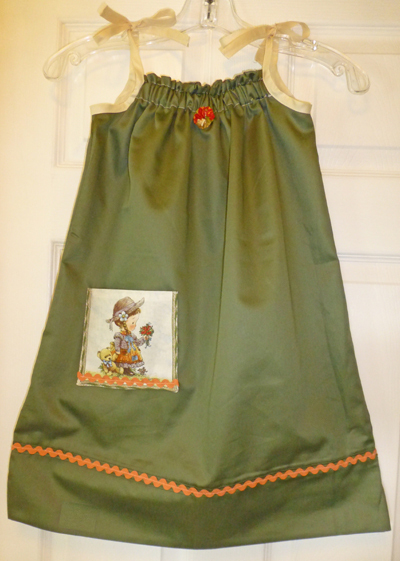 A pocket makes these dresses so cute and it also gives a little girl her own special place to keep her treasures. 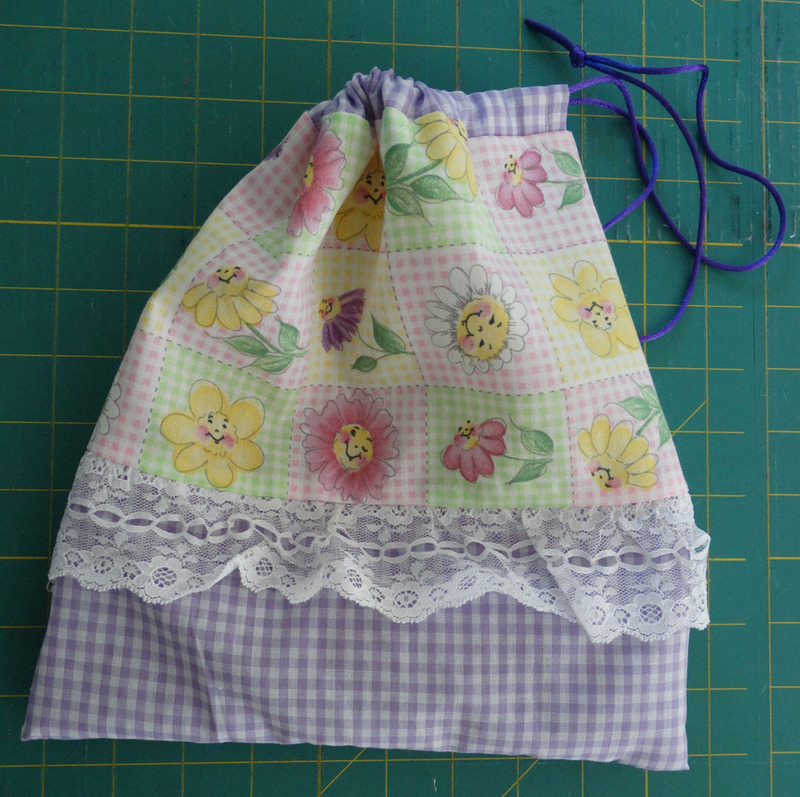 You can sew it on straight or at a bit of an angle. that way I can see how long the dress really is but it will still lie flat and it is easier to add the pocket. 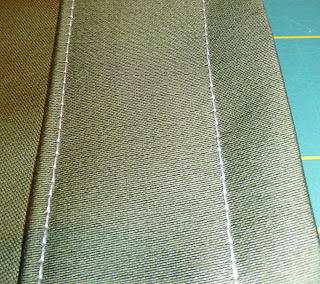 I place the middle of the pocket just slightly lower than half way from the top to the bottom of the dress. 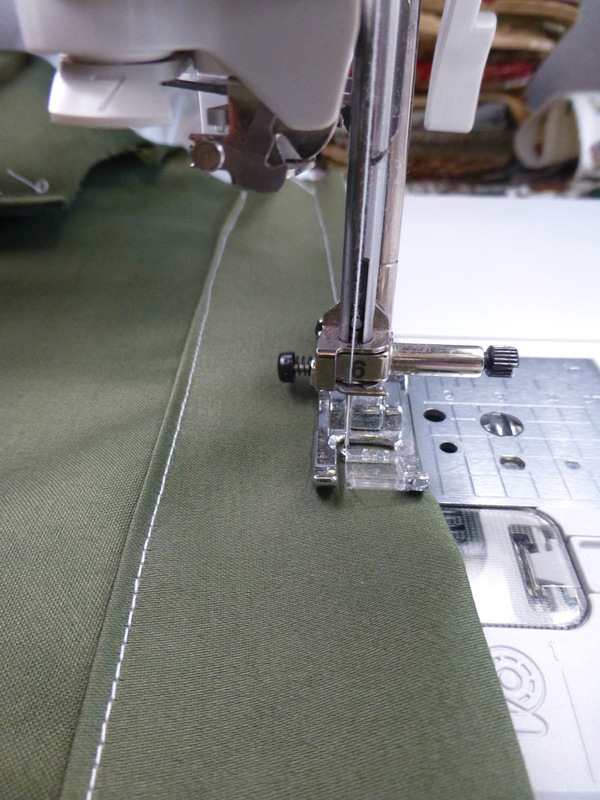 the steps for elastic and bias are the same for any dress.